Korea is famous for its abundance of photoshoot studios that are decorated beautifully into all sorts of different themes. Photoshoots in these studios are amazing since you can get a myriad of different backdrops without having to leave the comfort of the indoor studio. These are some of the most popular themes that you can find in almost any studio you step foot in. You will see why they are so popular from the photos below! This has definitely got to be the most popular theme across all the studios and it doesn’t come as a surprise because who doesn’t like flowers right? Some studios have an outdoor garden and others have rooms dedicated to floral arrangements that are simply stunning! It is hard to imagine seeing so many flowers in one setting! Of course it’d be great to have a photoshoot at your own home, but to be honest, our homes are hardly as pretty as these! Their studio rooms are decorated to be exactly what everyone’s dream homes look like. So, enjoy hanging around in your dream bedroom while you can! Hands up if you’ve ever dreamed of having a grand piano at home or if you have stopped to marvel at the beautiful piano you saw in a shop. Sadly, beautiful things come at a high price and this is no exception. However, you’ve found your chance to experience having a grand piano of your own (for a short while)! We don’t even have to tell you how amazing it looks in photos. That level of classiness is unbeatable! We all know that natural light is the key to taking the most beautiful pictures. Korean studios are never short of stunning full framed windows that will illuminate all your most perfect features. Besides, these windows make absolutely breathtaking backdrops. 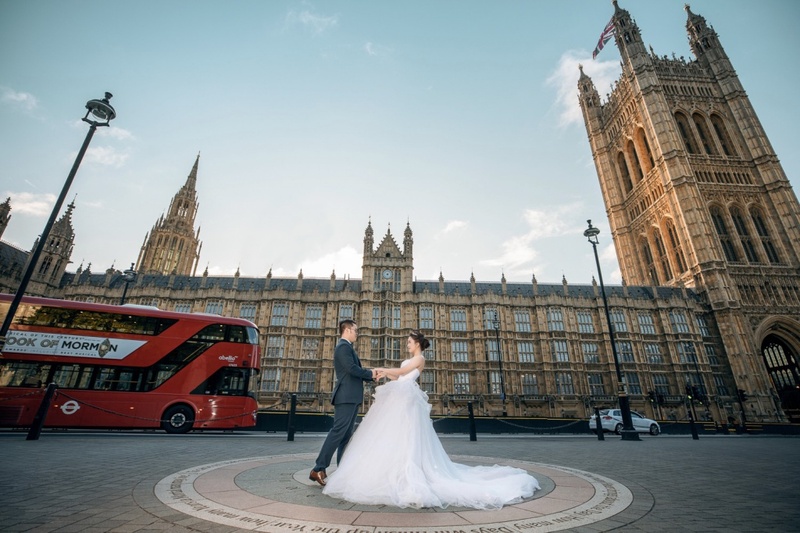 There is no denying how stunning Europe is and it was probably one of your top choices for a pre-wedding destination. Don’t worry, all hope is not lost! You can still experience a little bit of Europe in the Korea studios! “Pictures or it didn’t happen!” Have you really been to Korea if you didn’t have a Hanbok shoot? There is no way you can leave a studio without taking a photo in their beautiful traditional costume. These Hanboks come in so many different vibrant colours and they bring out an elegance that nothing compares to! Aren’t these studio photoshoots beautiful? 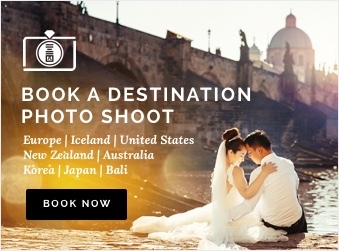 If you are planning to head to Korea for a pre-wedding photoshoot, head to our website to view all our different studio packages! If studio shoot is not your thing, don’t worry, we also do outdoor shoots all around Korea (in fact, all around the world)!